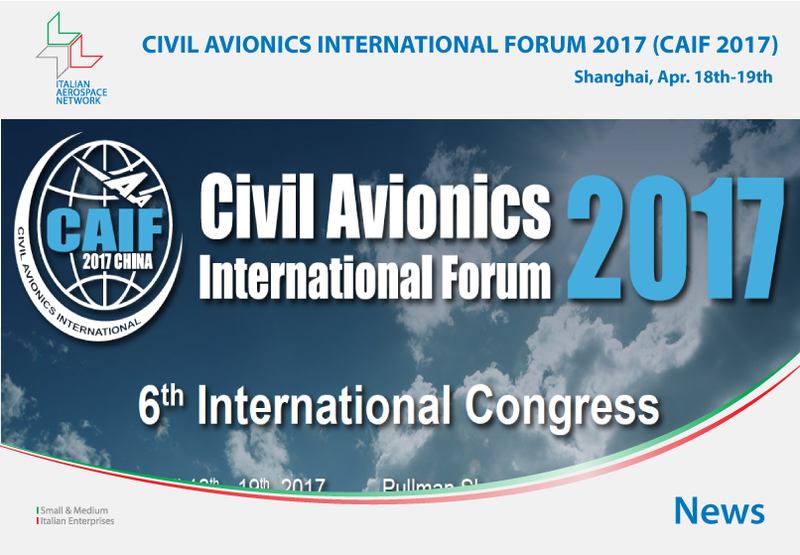 In partnership with Galleon Shanghai Co. Ltd., Italian Aerospace Network (IAN) is glad to welcome you to take part to the next ‘Civil Avionics International Forum 2017’, which will be held in Shanghai on April 18th and 19th 2017. Data show that China will need some 6.810 new aircraft over the next 20 years, for a total value of more than US$ 1 Trillion. Chinese civil aviation fleet scale will increase to nearly three times compared to today. By 2034, China’s new aircraft will account for 16.6% of the total global aircraft, and for 42% of the total number of new aircraft in the Asia-pacific region. Based on these data, China is expected to surpass the U.S. in 2030 to become the world’s largest aviation market. Under this background, the industry leading-edge ‘Civil Avionics International Forum 2017’ will be held in Shanghai, on April 18th and 19th 2017. The event is planned to deliver you the latest civil avionics industry layout, to discuss the avionics R&D trends, airworthiness certification, flight reliability, and more. We sincerely invite you to participate in the upcoming CAIF 2017, our professional organizing committee will provide you one-stop service to help you dig the maximum value for your business.